SYRACUSE – This weekend proved to be a wonderful time at the Great New York State Fair. 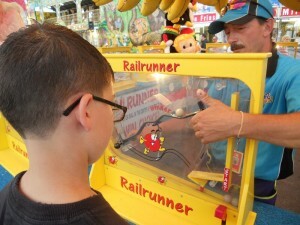 A carnival of fun recently ranked as one of the top 50 fairs across the United States. Despite the projected temperature of 91 degrees, fairgoers enjoyed the rides and the midway well into the evening. 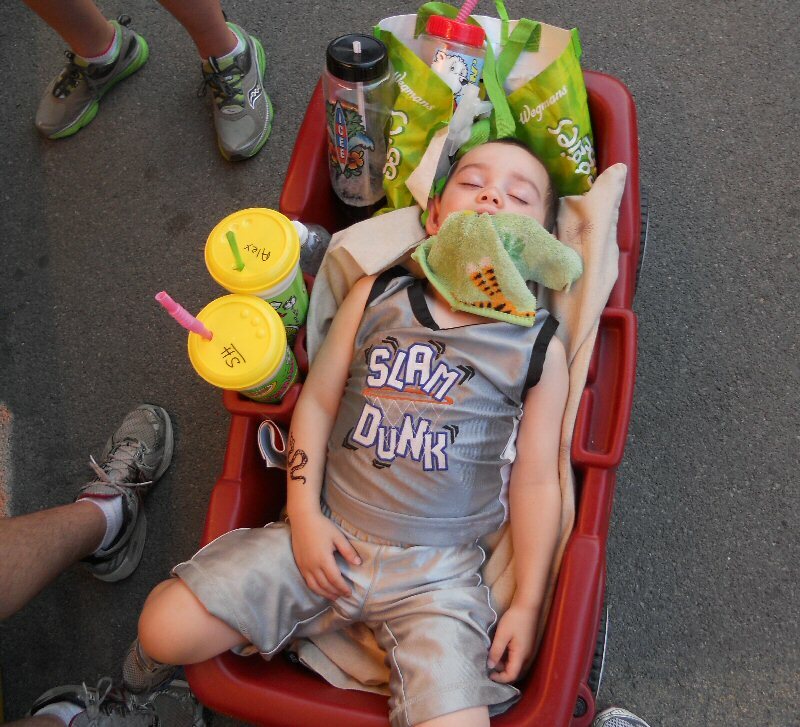 Temperatures dropped to a comfortable 70 degrees by 9 p.m. The fair wraps up on Labor Day Monday. 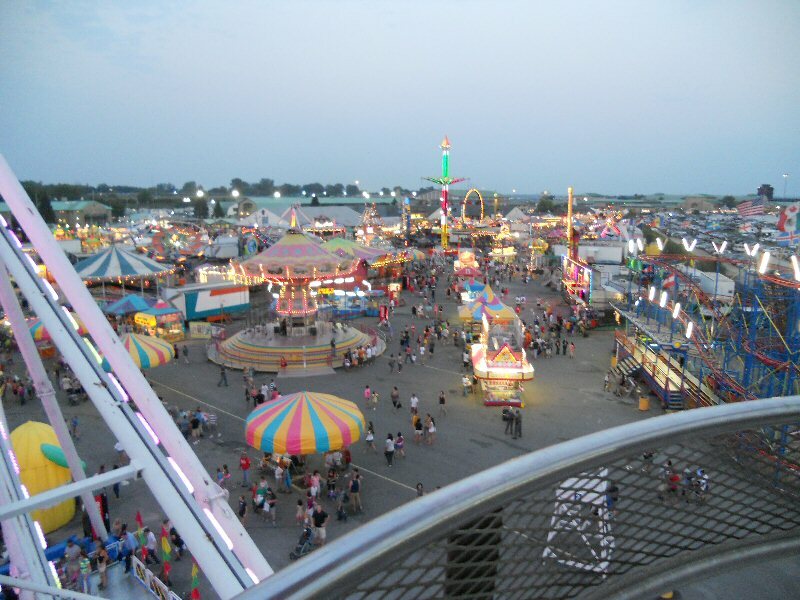 Our fair lady, Joleene DesRosiers Moody, shares some photos from her recent trek through the fairgrounds. David Priest of Phoenix wins the best prize at the fair. 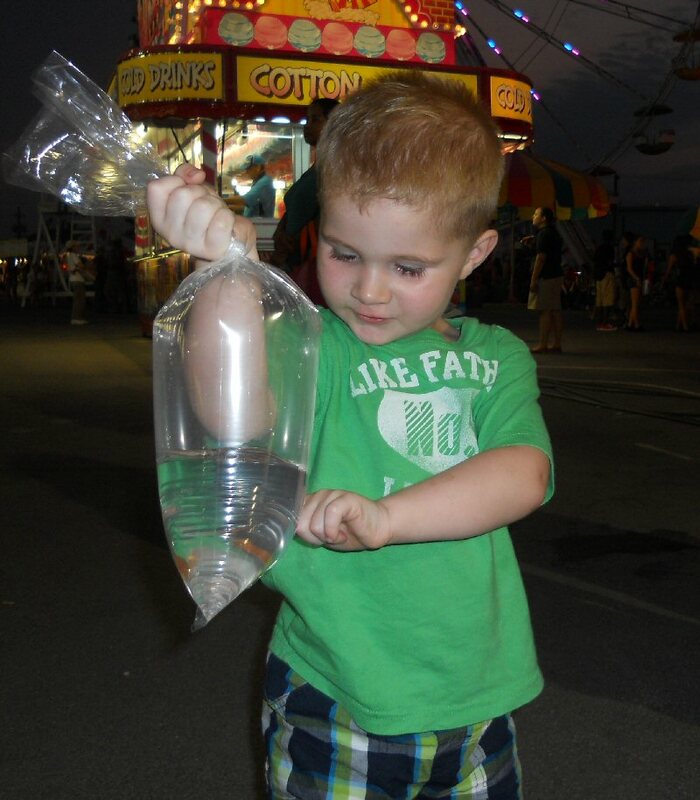 A goldfish! 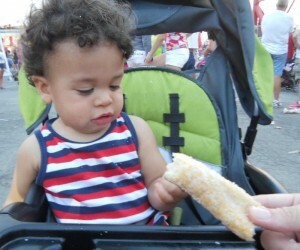 One-year-old Evyon Murray of Syracuse enjoys deep fried dough at his very first New York State Fair. 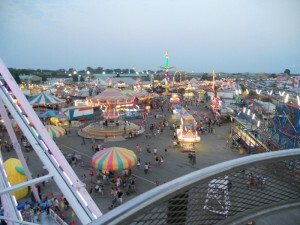 Midway at dusk as seen from the Ferris Wheel. 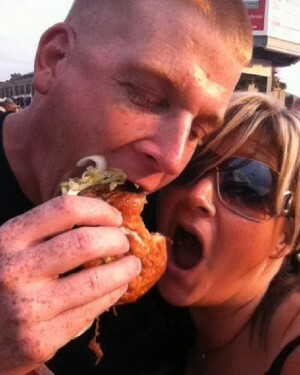 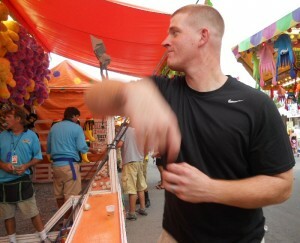 Jason Priest of Phoenix throws a baseball along the midway to try and win a prize for his wife.